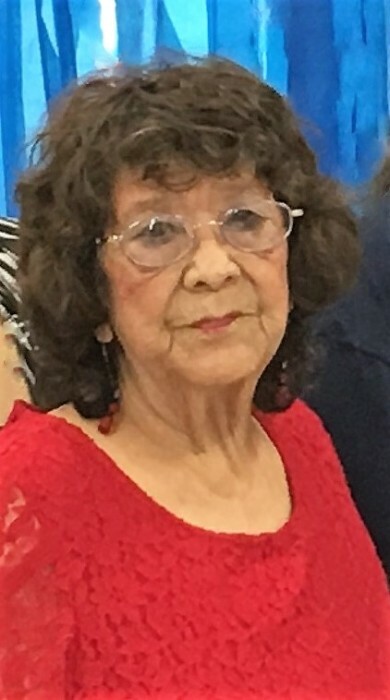 BEEVILLE – Herminia “Minnie” S. Del Bosque, 79, of Beeville, died on May 15, 2018. She was born on Feb. 17, 1939 in Beeville, Tx to Dario and Antonia (Soliz) Del Bosque. She was a homemaker. She was preceded in death by her step-father, Victor Gonzales, Sr.; one sister, Maria Elisa Arrisola and two brothers, Manuel Del Bosque, Sr. and Eduardo Del Bosque. She is survived by her partner, Margarito Padilla of Beeville; one brother, Jose G. (Cheryl) Gonzales of Victoria, Tx; four sisters, Juanita (Manuel) Gonzales Maldonado, Maria Carmela (Jesse) Espinoza, Petra Garza and Dolores (Juan) Garcia all of Beeville, Tx. She is also survived by several nieces and nephews. Visitation will be held from 3-9pm on Friday, May 18, at Oak Park Memorial Funeral Chapel. A rosary will be recited at 7pm. The body of Ms. Del Bosque will lie in state at 9am Saturday, May 19, at St. James Catholic Church. Funeral mass will be celebrated at 10am with Fr. Paul Kottackal officiating. Burial will follow at the Our Lady of Victory Cemetery #2. Serving as pallbearers are Manuel Del Bosque, Jonathan Garza, John James Garcia, Roman Gaona, Sr., Tony Gonzales, James Del Bosque, Genaro Arrisola and Debra Alaniz.